The most effective way to manage a neuromuscular injury is to prevent it from happening in the first place. The overall low incidence of such complications in both the open surgical and laparoscopic literature attests to how effective the surgical community has been in preventing their occurrence. The first principle is that all members of the operating room team, including the surgeon, assistant, anesthesiologist, scrub nurse, and circulator must contribute to ensuring that the patient is correctly positioned and padded. All joints must be in an anatomically normal position, avoiding both hyperextension and hyperflexion, as well as overabduction and overadduction. Joints, especially the shoulder, elbows, and knees should be supported with pillows or similar padding. If the operating table is to be repositioned during the case (as for laparoscopic nephrectomy in the modified flank position), it should be tested prior to draping the patient to ensure that minimal movement of the patient occurs in the new position, that joints remain appropriately supported, and that no unprotected areas come in contact with an unpadded surface. If the patient is secured to the operating table with tape, bony prominences should be protected with a towel or gel pad to avoid compression injury, especially during procedures in which the table positioning changes and potentially increases the pressure on these areas. Cushioning is particularly important for procedures expected to exceed five hours in order to minimize the risk of rhabdomyolysis. Prior to such procedures, it would be prudent to inform the patient of the possibility of neuromuscular injury and to document this in the preoperative surgical consent. Fortunately, most peripheral neuropathies are self-limited, requiring no treatment other than observation and reassurance. Duration of symptoms is variable, but most resolve within weeks to months after the insult. Occasionally, symptoms persist past one year, and can even remain permanently. Consultation with a neurologist soon after symptoms are noted can help identify the reason for injury and possibly provide prognosis. The neurologist may perform electromyography or nerve conduction velocity studies to further elucidate the problem and can aid in recommending treatment, including physical therapy. Abbreviations: PLND, pelvic lymphadenectomy; Lap, laparoscopic. 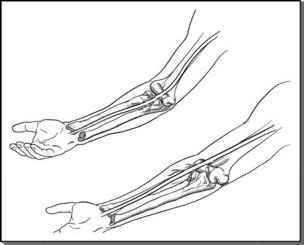 FIGURE 10 ■ Stretching of the median nerve with full extension of the elbow.